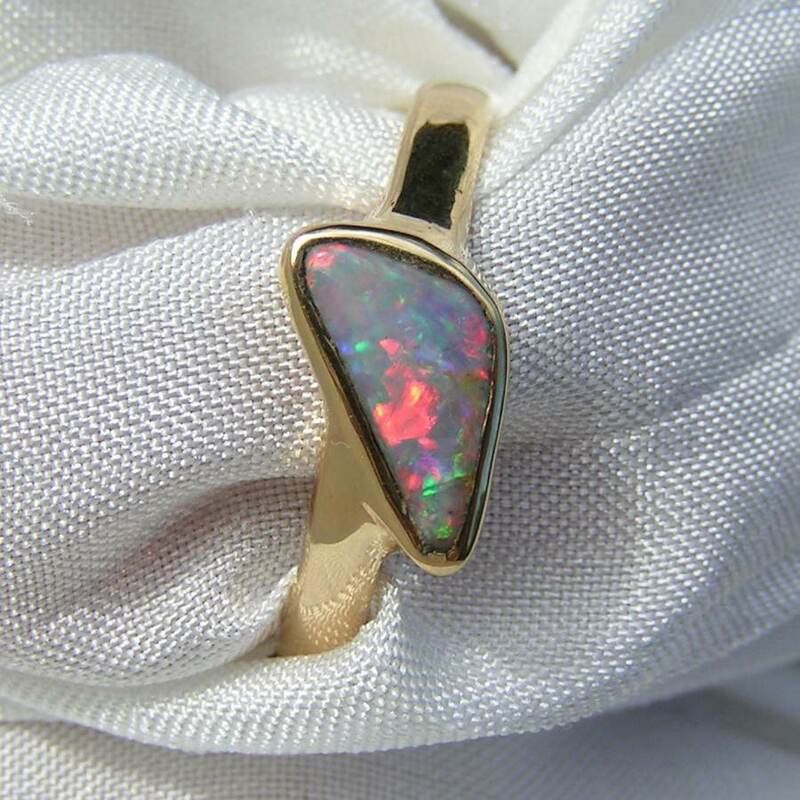 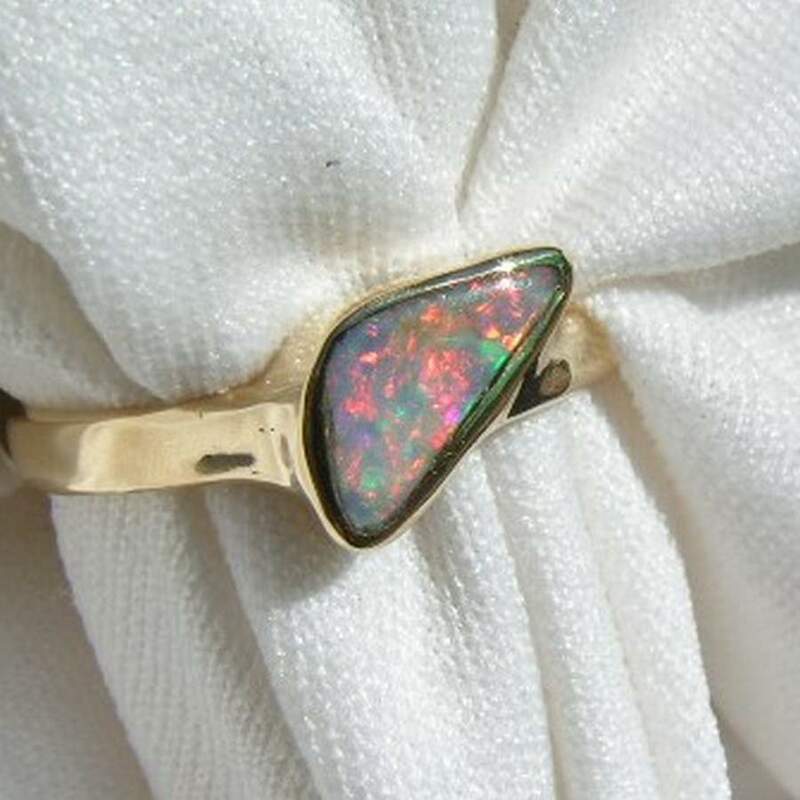 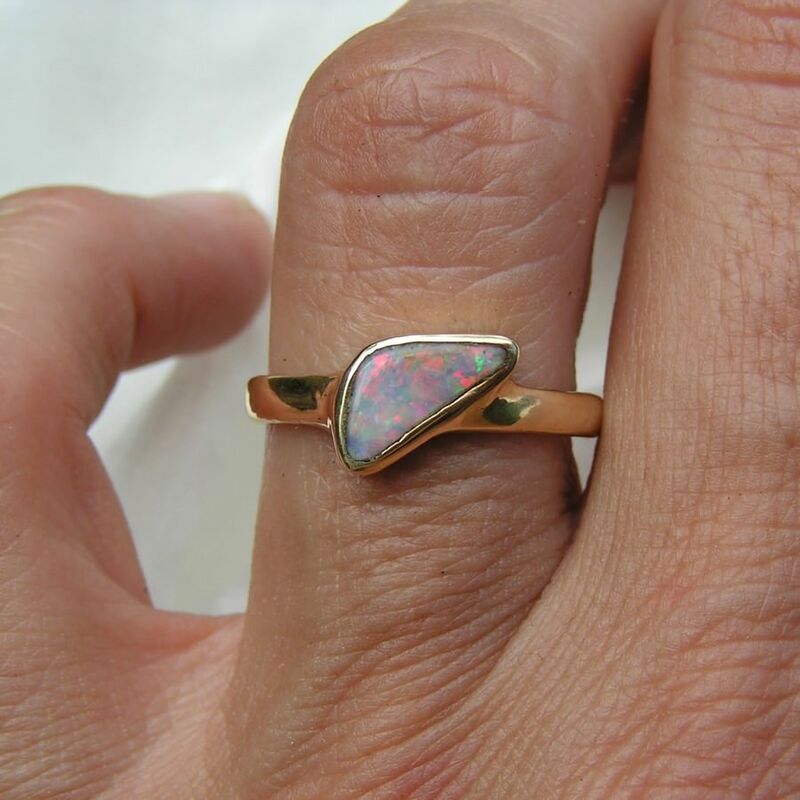 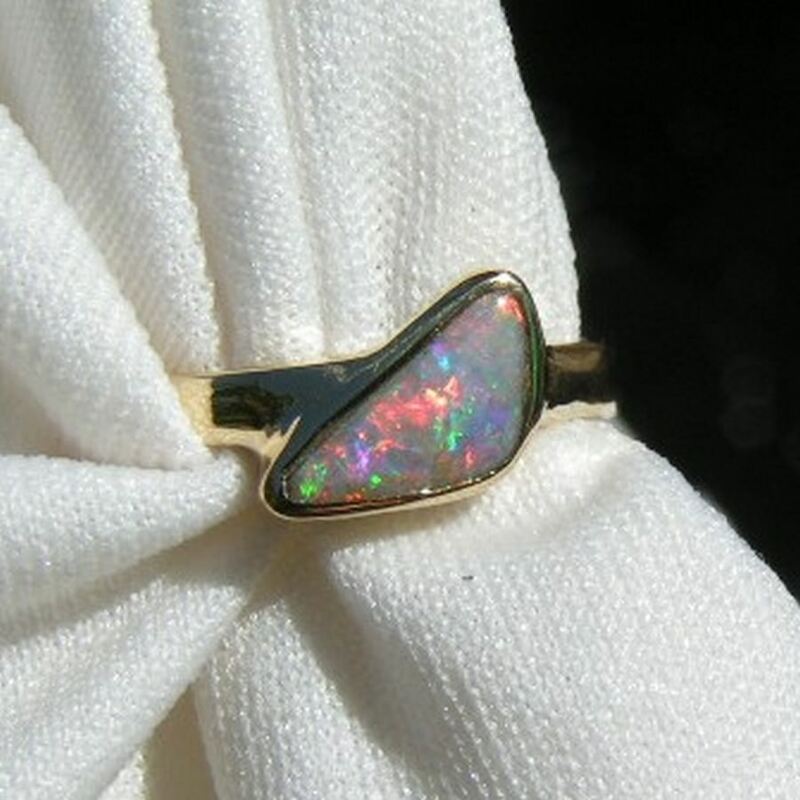 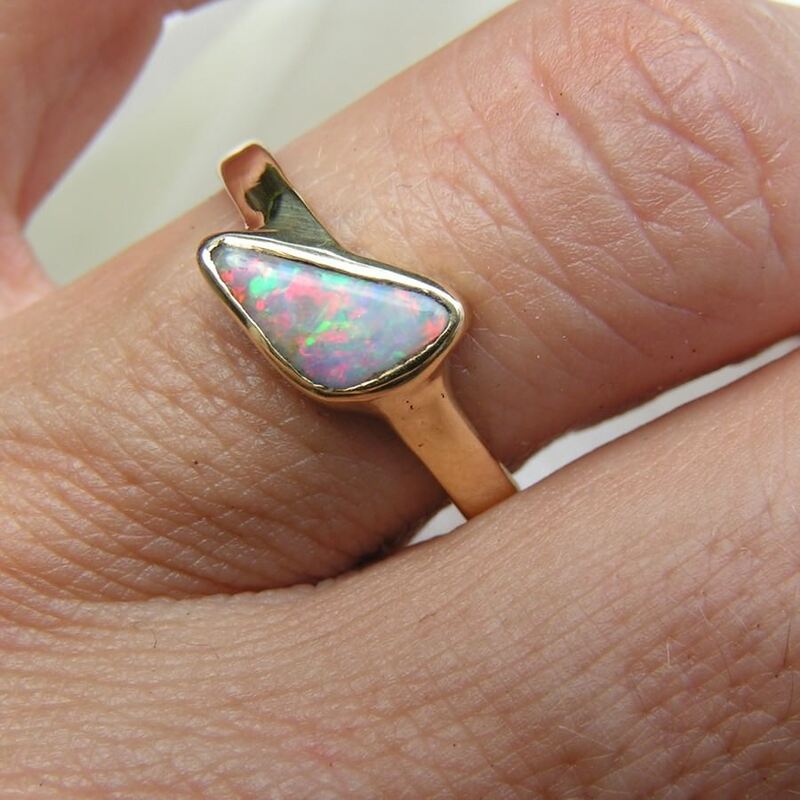 A colorful Opal ring in 18k Yellow Gold with a triangular Boulder Opal. 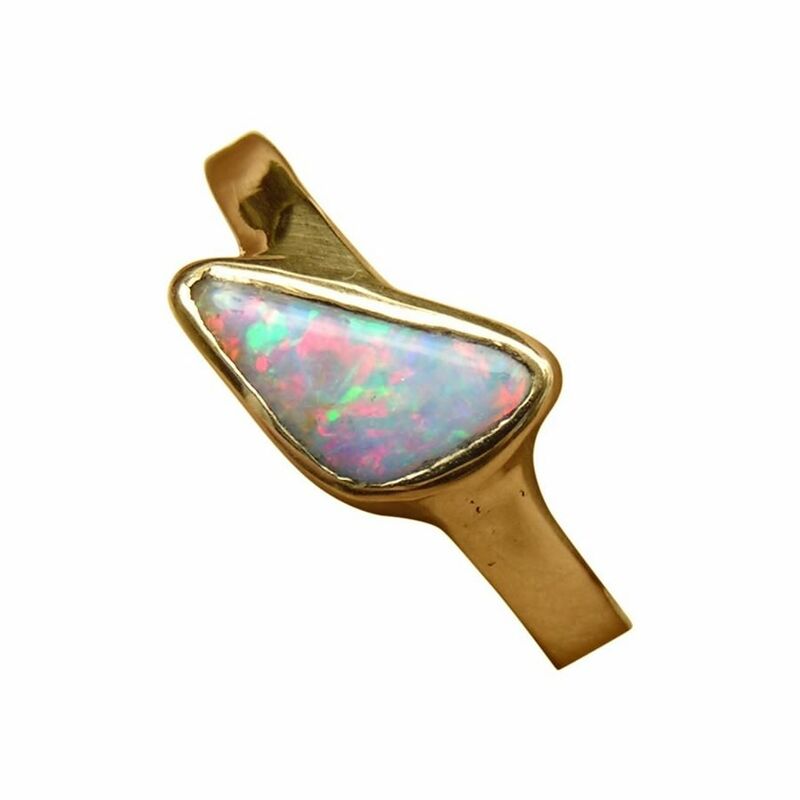 A simple stylish Opal ring in 18k Yellow Gold with a triangular cut Boulder Opal that displays a beautiful range of multi colors. 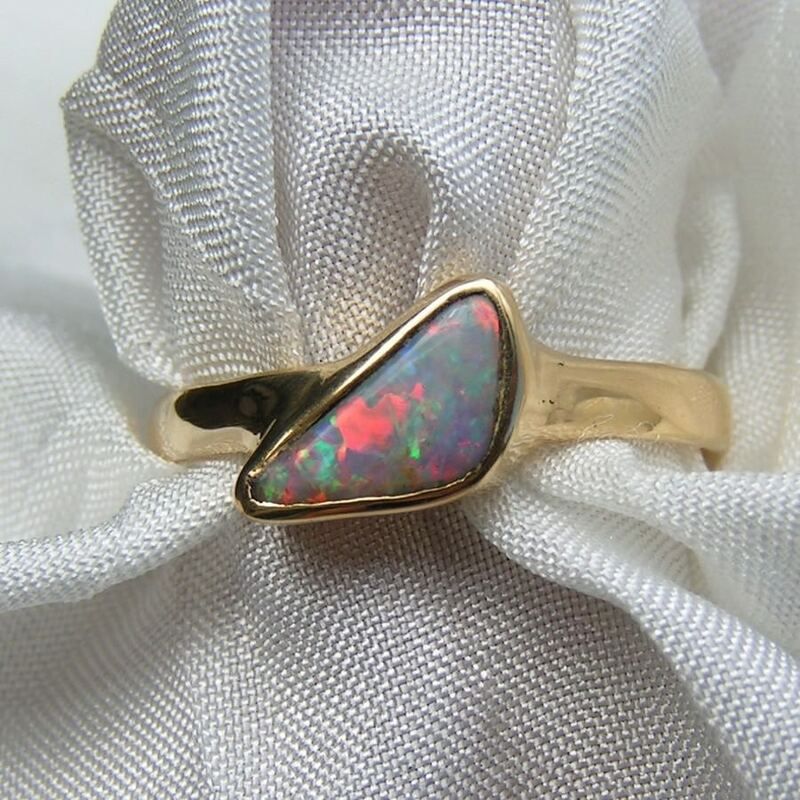 The handcrafted 18k Gold ring has a plain band and weighs 2.5 grams with the Boulder Opal being the focus and deservedly so. 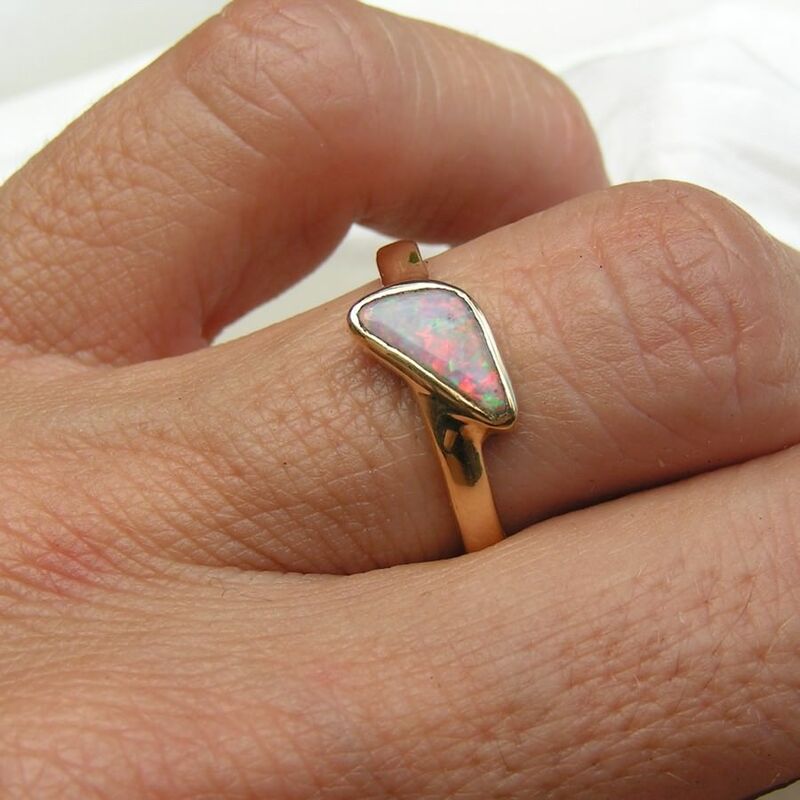 An elegant Opal ring with an open back that is ready to ship now in a size 6 ½ and can be re sized by a reputable jeweler as long as he is knowledgeable on working with Opal rings. 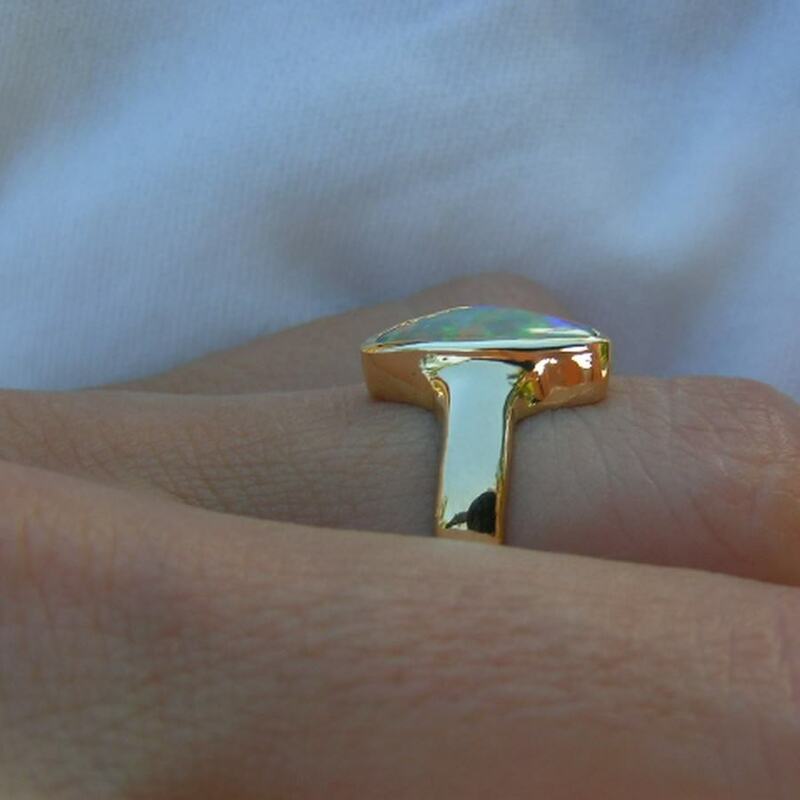 Please confirm with your jeweler that they can resize this style of ring before purchasing.